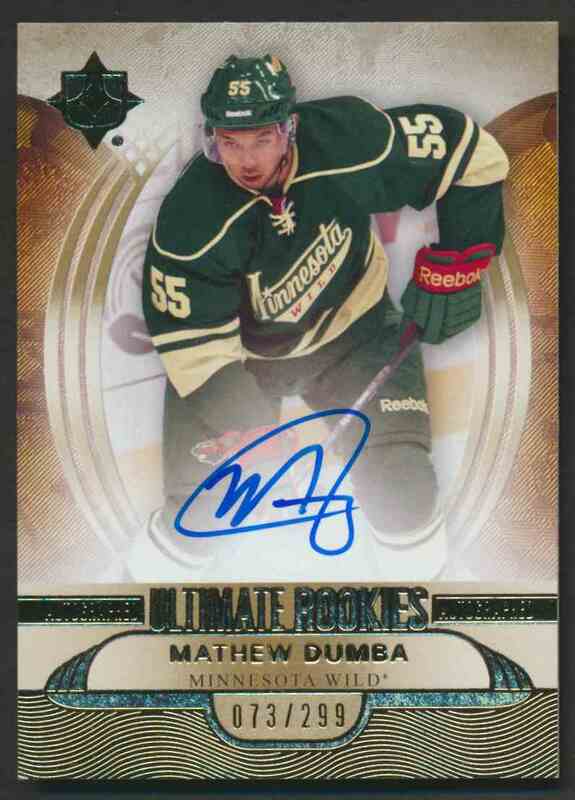 This is a rookie autographed Hockey trading card of Mathew Dumba. 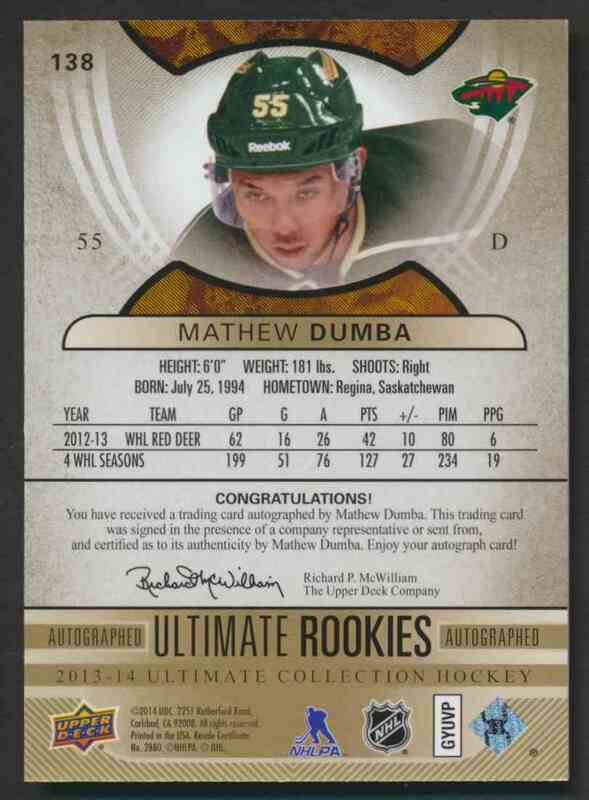 It comes from the 2013-14 Upper Deck Ultimate Rookies set, card number 138, serial numbered 073/299. It is for sale at a price of $ 6.00. I use paypal but if there's another form of payment that you prefer please enquire and I will see if I can accomodate your request. Returns accepted within 30 days. Seller pays the shipping. If you are not completely happy with your purchase please don't hesitate to contact me for a full refund. I am new to Kronozio but have been active on eBay for years, trying this out and hope to make some new customers.